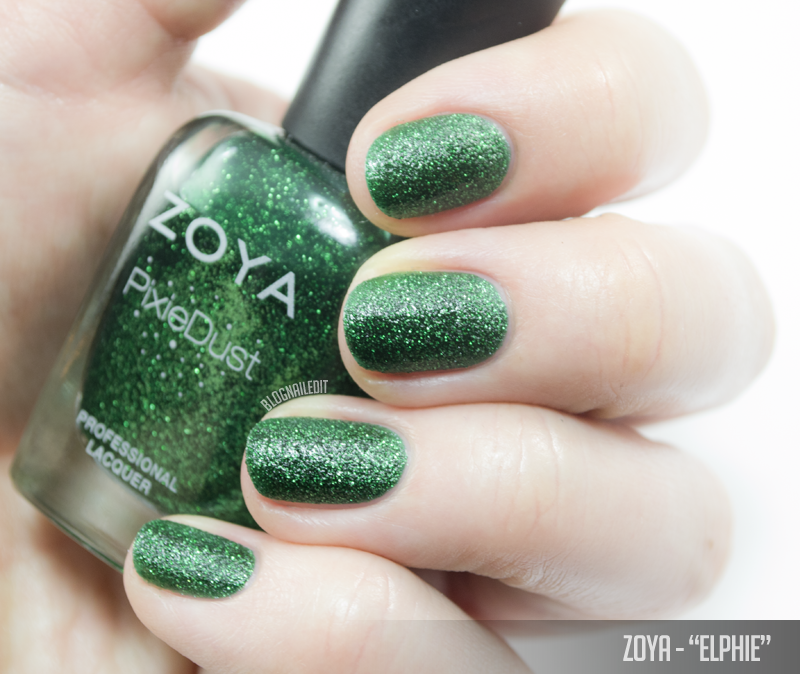 The Zoya Enchanted holiday 2016 collection could quite possibly be the 6 most unusual colors mashed together as a "collection". I don't know what the good people at Zoya were doing the night this collection was born, but creative juices were definitely flowing. With that said, this collection also contains 2 of my new favorite polishes. These are polishes I wouldn't normally warrant 3 seconds of my time either! But after swatching the colors from Enchanted, consider me converted. 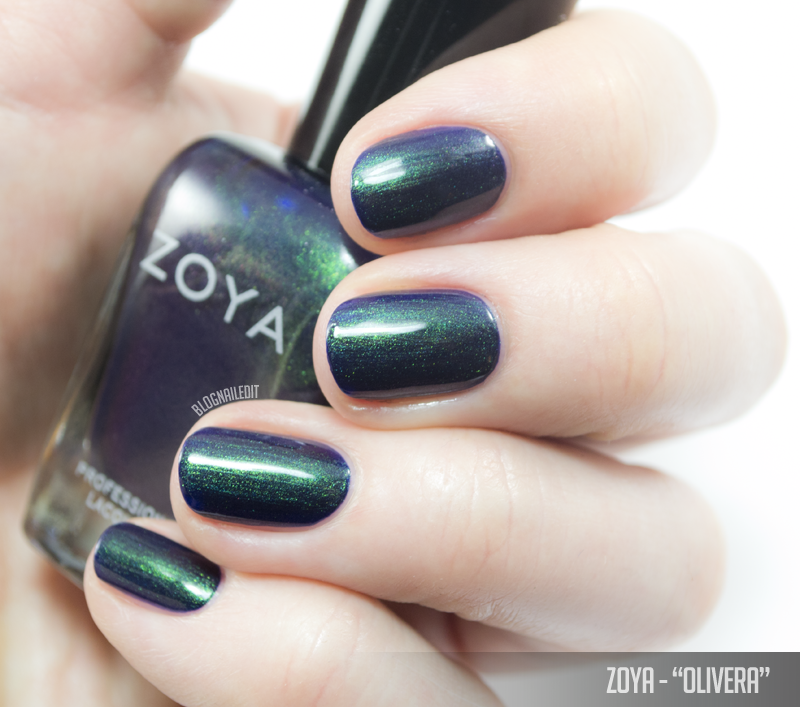 I was so drawn to Olivera in fact, I immediately knew the nail art I wanted to do with it. 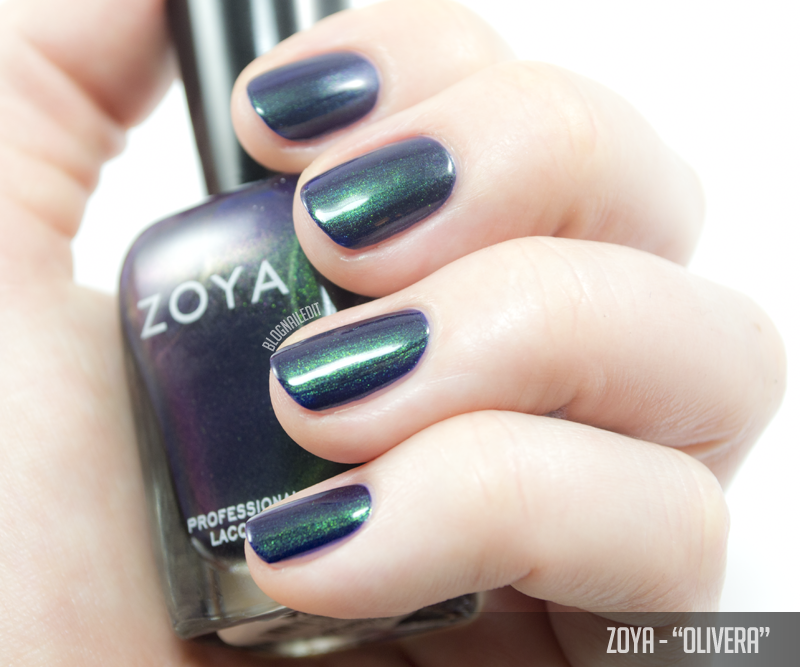 This duochrome beauty could quite possibly be made of crushed beetle shells, except I'm pretty sure Zoya doesn't do that (though I can't find anything specifying they're cruelty-free or vegan on their website). So I painted bugs! These critters were done all freehand with my favorite liner brush and polish. I had up a picture of a beetle and butterfly, and took a stab at it. They came out beautifully! 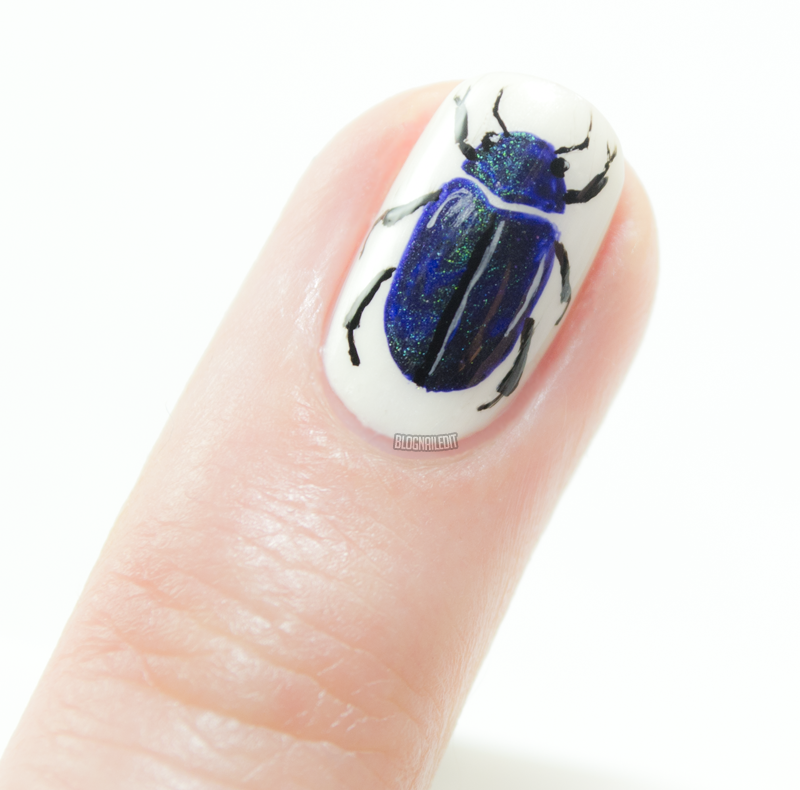 This little beetle was done with Olivera, but the picture doesn't do the polish justice. The polish shifts from one color to another more obviously later in the full nail swatch. Then after painting the little beetle, I realized that another shade from Enchanted would make a fantastic butterfly, so I did him in Saint with accents of Alice. 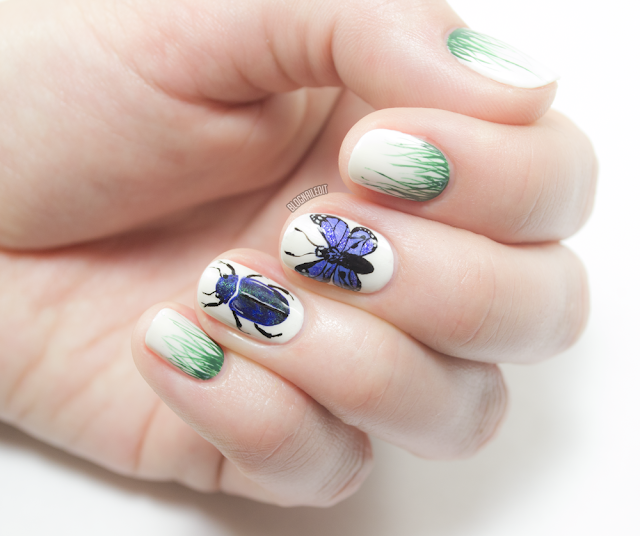 Then after all that was said and done, I had to edit myself and stop from doing too much with glitter and rhinestones, so I gave the beetle and butterfly a habitat with simple grass on the other nails. Here's a look at Enchanted as a whole. Saint (2 coats) is the other smooth finish polish from Enchanted. I used this as the butterfly's base (with accents of Alice). 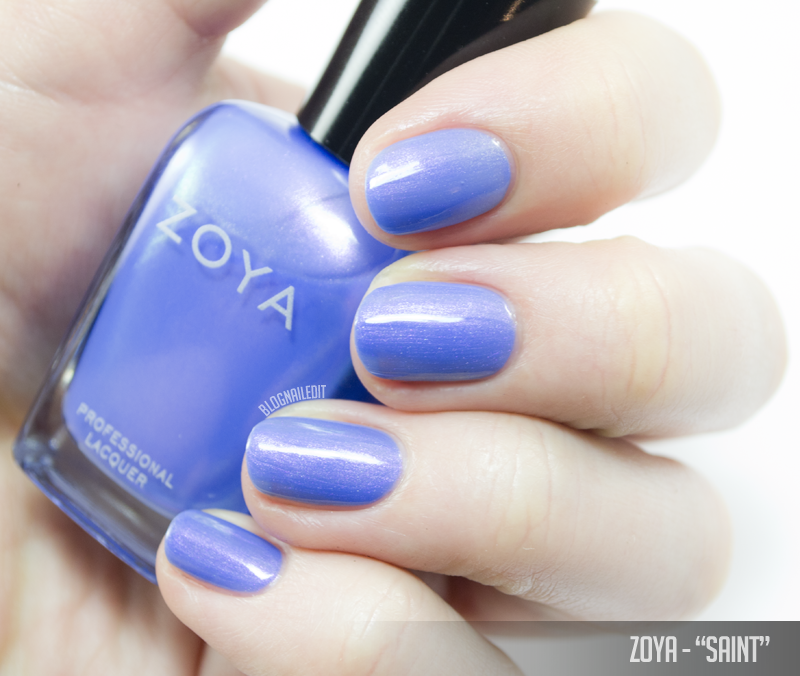 What you get from Saint is a smooth, periwinkle shimmer with an iridescent finish. I was surprised to like this one as much as I did. 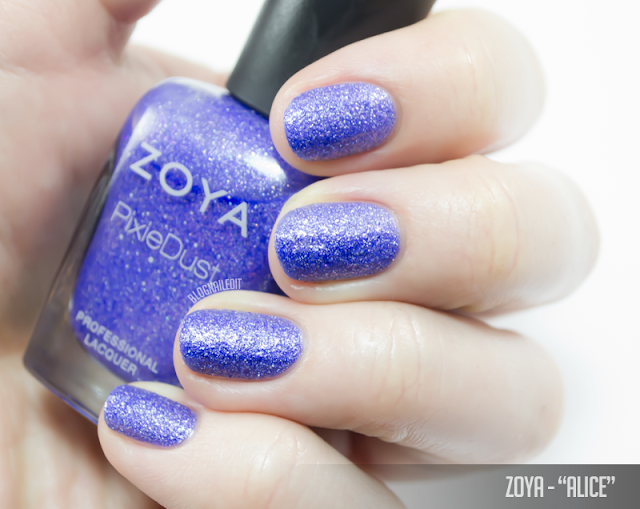 Alice (2 coats with no top coat) is a PixieDust polish, so the texture and grit is intentional. This one is a light lavender periwinkle, accented with pink and iridescent glitter. 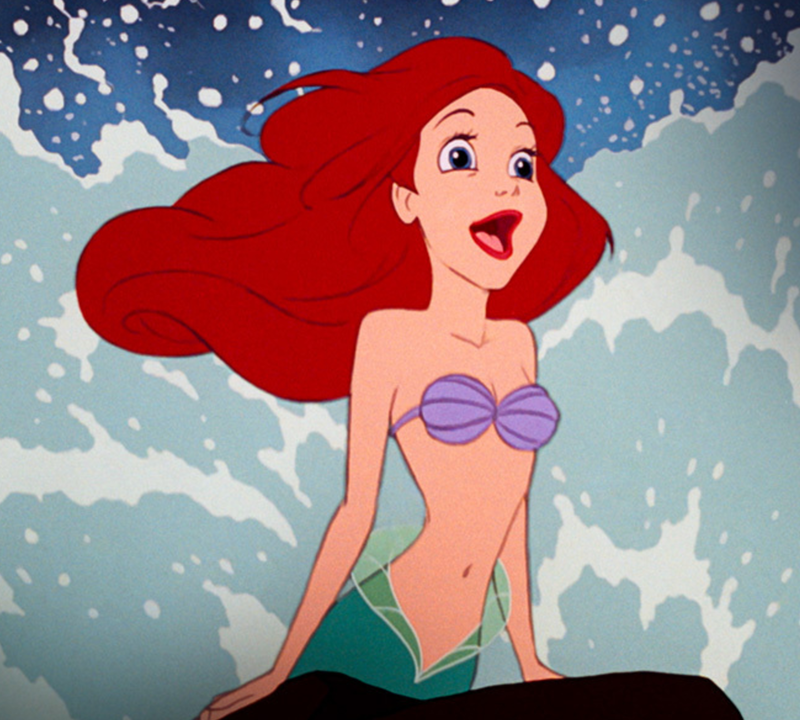 I'm pretty sure this is what the Little Mermaid's bra was made of. Elphie (2 coats with no top coat) is a Christmas green PixieDust. Nothin' but green in this polish. Lorna (2 coats with no top coat) is all in the pink family, but this magenta-based PixieDust is accented with brighter pink glitter. 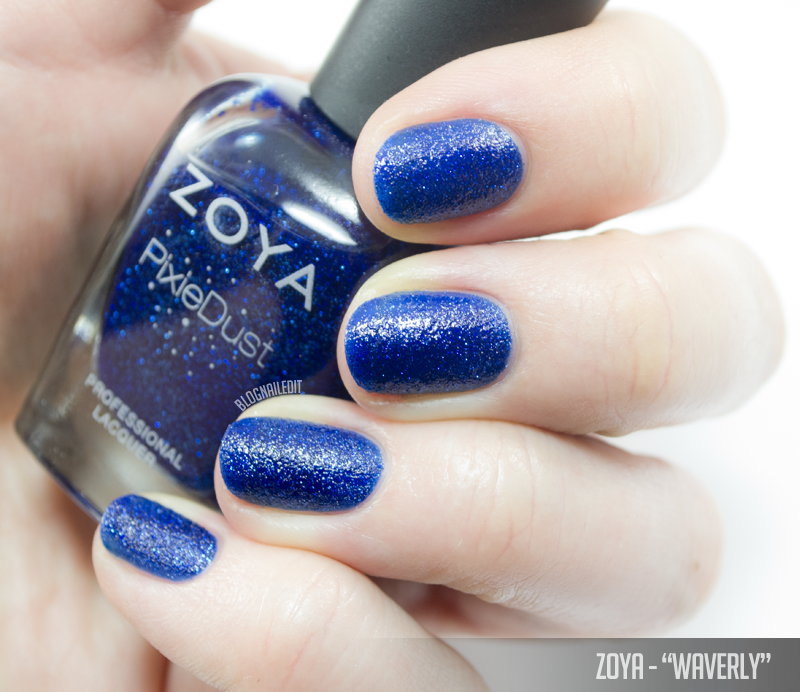 Waverly (2 coats with no top coat) rounds out the collection as a royal blue PixieDust. It looks a little squishy doesn't it? The Zoya Enchanted collection is available through their website HERE. And if you have no self-control like me, you'll probably just end up with all of them. 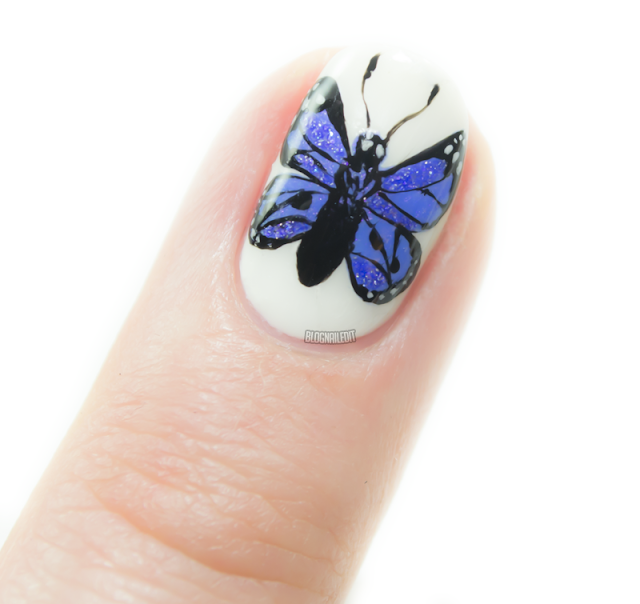 I should note, bugs are not included in the polish, so you'll have to start a butterfly farm separately. Great collection and a perfect, flawless nail art. Love it!